Can’t seem to find any illustration with Fate holding Bardiche in Zanbar form, so this one will just have to do. 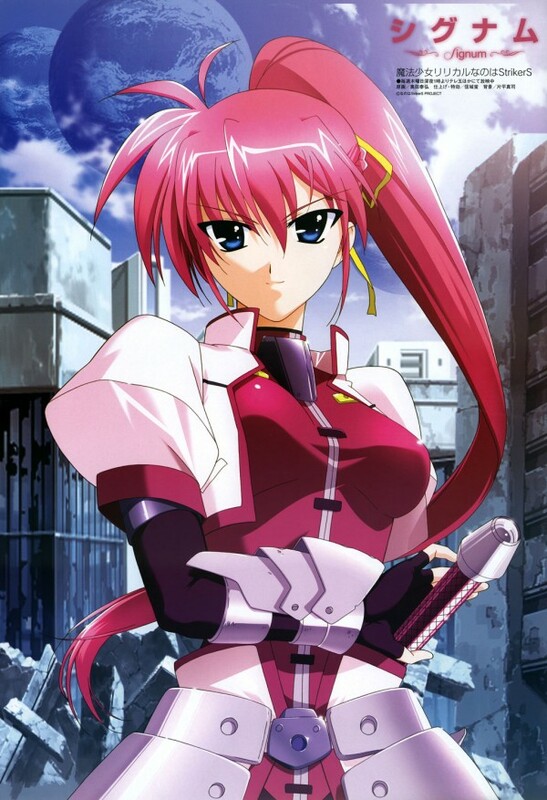 This one is Signum (シグナム) from Mahou Shoujo Lyrical Nanoha StrikerS (魔法少女リリカルなのはStrikerS) series. Mahou Shoujo Lyrical Nanoha StrikerS Signum 1/7 PVC by Alter (アルター 魔法少女リリカルなのはStrikerS シグナム). Original sculptor 田中 冬志. Released on Jan 2009 with an MSRP of ¥9,240. 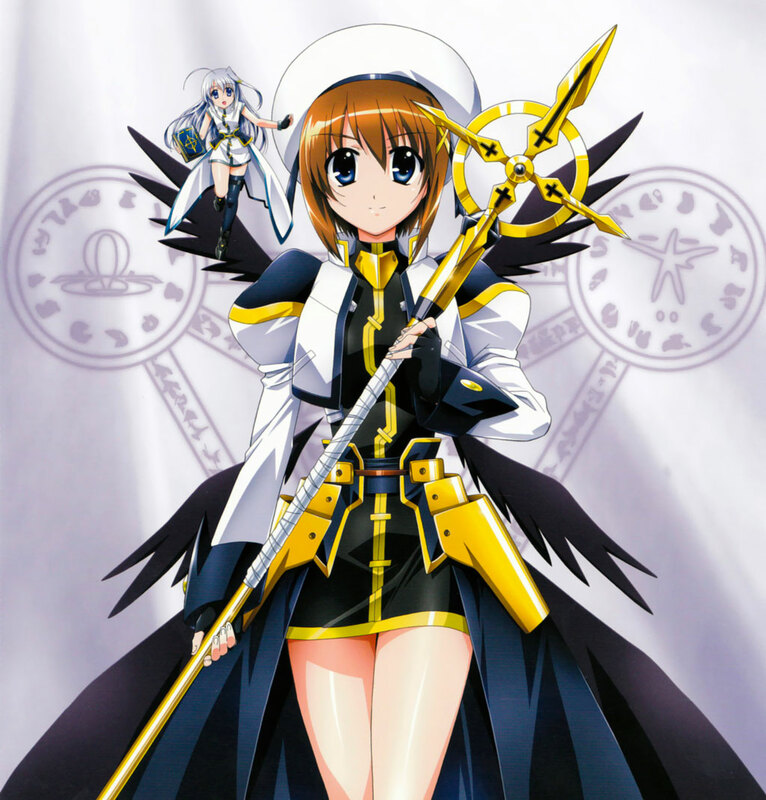 Here’s a 2D illustration of Signum from Megami megazine. 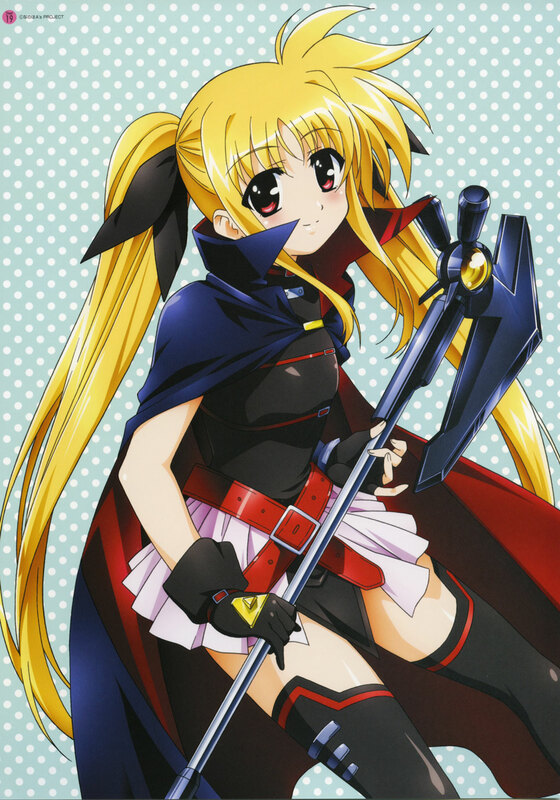 This one is Yagami Hayate (八神はやて) also from Mahou Shoujo Lyrical Nanoha StrikerS (魔法少女リリカルなのはStrikerS) series. 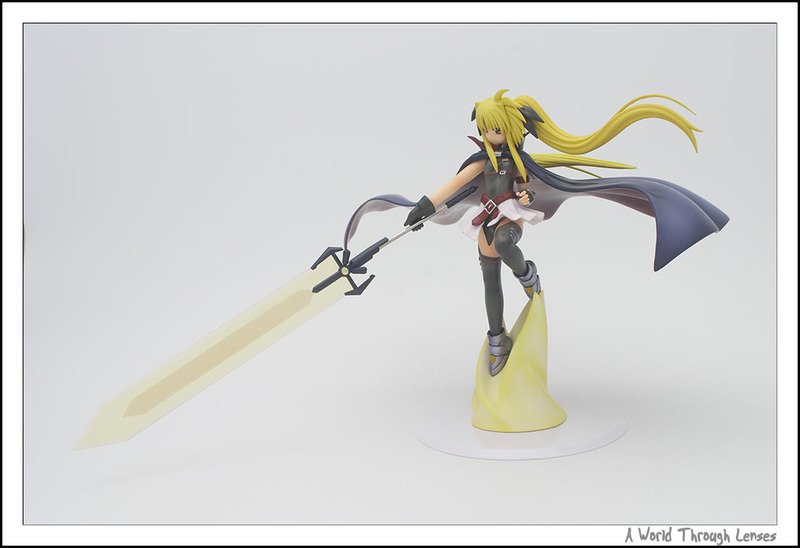 Mahou Shoujo Lyrical Nanoha StrikerS Yagami Hayate 1/7 PVC by Alter (アルター 魔法少女リリカルなのはStrikerS 八神はやて). Original sculptor 爪塚 ヒロユキ. Released on November 2008 with an MSRP of ¥10,290. Hayate comes with two different head, a normal version and a unison version. The ones above is the normal version and the ones below is the unison version. The hat is also removable. Those translucent wings are really nice touch. It even came with a mini stand for Reinforce. So you can either have Reinforce on Hayate’s shoulder or you can have Reinforce on a stand by herself. Here’s what Reinforce looks like when placed on her own stand. And here’s a 2D illustration of Yagami Hayate and Reinforce.